Millionaires, sheiks, top politicians and managers also visit online stores. Yet they are really picky. Famous and affluent buyers not only pay attention to a brand and quality, they also value the image of corporate web designs. In this article, we want to tell about 22 websites of the most expensive online stores in the world. By expensive, we don’t always mean the price or high rank of the selected brands. 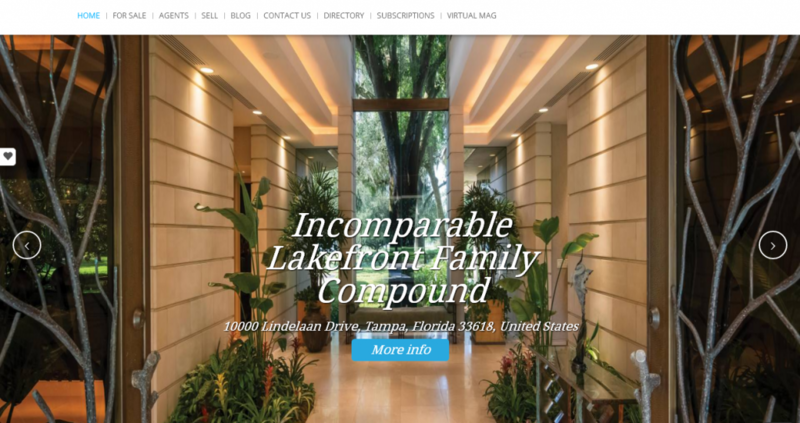 In some cases, it’s all about the luxurious and stylish design of their websites. Completing this list we didn’t have the purpose to define the TOP of the most expensive online stores based solely on pricing. Well, it would be impossible. Firstly, nobody knows the development cost of all websites, since designers, developers, and copywriters continue working on them. Secondly, the design of many resources with expensive goods is far from fancy. The websites presented here either offer luxury products, have a conceptual design, or require a substantial development budget. Some of them even combine these three characteristics, proving that web stores also can belong to the deluxe category. This list would be incomplete without eBaу. Like Amazon, this e-commerce giant appeared in 1995. Since then, its catalog has expanded to an incredible volume. eBay offers clothing, cosmetics, devices, cars, household and luxury goods, and even antiques. Why in this list: eBay.in sells products in a huge price range. Here you will find everything from iPhones to antique rings, helicopters, and cars. The image and assortment of eBay make it one of the most expensive online stores in terms of development and product offering. What sells: Clothing, cosmetics, antiques, household items, electronics, automotive equipment, etc. Online store design: Cards, clear navigation, and filtering. The website is definitely very convenient for such a large resource, yet its design isn’t particularly expensive-looking or bright. Established in 1993, Taylor Howes is a luxury interior design agency based in London. Their projects have the reputation of one-of-a-kind designs. They have chosen golden and blue as their corporate colors and widely use them in their website design. The agency pays a lot of attention to the high-quality images of their projects. Why in this list: Their web design plays the first fiddle. It looks really elite. They also care about the continuous updates and development of the website. The services of this company are targeted at top customers who can afford to pay several hundred thousand pounds for a design concept. Nevertheless, we will never know the exact price anyway. Speaking of the goods offered in the store, we cannot say they are insanely expensive, yet they are still pretty costly. What sells: Interior design items, decor, lighting. Online store design: Fonts and navigation definitely need improvement, but, again, with such beautiful photos they aren’t that important. BURGESS sells expensive modern yachts. On its website, potential owners can learn all the technical specifications of their future purchase and check the price. This service also organizes charter yacht trips. Why in this list: The minimum price of their goods is 2-5 million euros. Large yachts presented in the catalog are sold for 150-200 million euros. Online store design: Card-based, simple, and clear. The abundance of white and blue in the design perfectly highlights the vivid photos of luxury yachts. 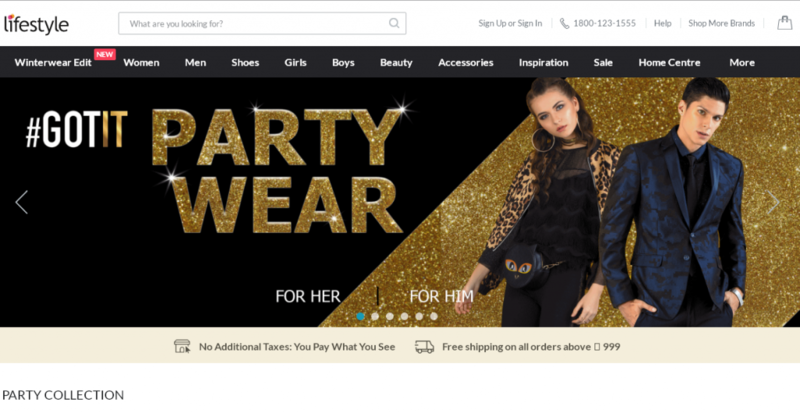 Another notable online store, where you can search products by clothing or accessories brand and get a portion of inspiration on a special section with outfits. The design is minimalist and card-based. It has references to Dior and Chanel websites. 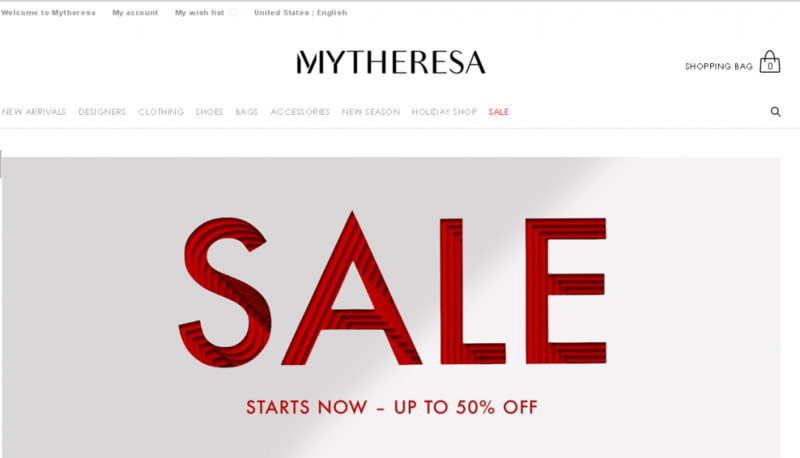 Mytheresa’s resource is easy-to-use, laconic, and stylish. It doesn’t include trendy animations. Why in this list: Pricy products (all items are branded) and an impressive assortment. In addition, the development and maintenance cost of such a resource is also very high. What sells: Women’s branded clothing, accessories, bags, shoes. Online store design: Symmetric images, slider, convenient filtering, universal black and white color combination. The design doesn’t seem unique, but the strict and appealing card-based look is enough to get TOP customers. An absolutely gorgeous website that specializes in expensive trendy clothes for men and women. They sell everything to turn any person’s outfit into a real fashion masterpiece. The convenient filtering will help you to quickly find the necessary item taking into account seasonal discounts or sales and glance through the offers of lesser-known designers. It’s a real rescue for fashion world newbies and a great help for luxury clothing experts. Why in this list: Top models (like Candice Swanepoel, etc. ), who are the muses and public faces of this company, get millions of dollars for advertising. An ordinary online store cannot afford such a luxury. That’s only the privilege of web resources with a really substantial budget. Moreover, in Moda Operandi’s catalog, you’ll see dresses by Hubert de Givenchy, Isabelle Armstrong, and Vera Wang, which have the average price of 17,000–20,000 dollars. We can say that Moda Operandi is a rare case when both design and products are high-class. What sells: Designer clothes, jewelry, shoes, accessories. Online store design: Card-based, linear, and clear. Actually, nothing new, it looks like websites of most fashion brands and clothing stores. Yet, at the same time, this design is very convenient and sales-promoting. This obviously makes sense: if a website isn’t branded, it’s better to focus on ease-of-use and simplicity. 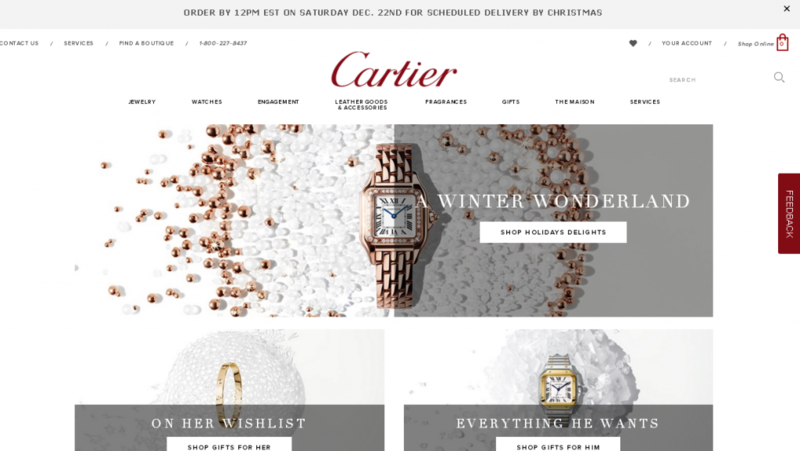 Cartier is one of the most renowned and expensive jewelry brands. Their products are adored and worn by many movie and pop stars. Their designers were inspired by Audrey Hepburn, Ava Gardner, and Catherine Deneuve. The website of the company both presents the brand and promotes sales at the same time. Here you not only can feel the beauty and exclusivity of goods but also immediately buy something you like. Why in this list: This brand has been famous for its seamless jewelry and accessories for 170 years. Their online store is a sample of appealing and unique card-based design with sparkling photos. The products are also quite pricey. A thin white gold chain will cost you from 1,000 up to 3,000 dollars. What sells: Luxury perfumes, accessories, jewelry. Online store design: Card-based, symmetric, and convenient. A special beauty of this web page is its elegant fonts and unique, stylish photos. 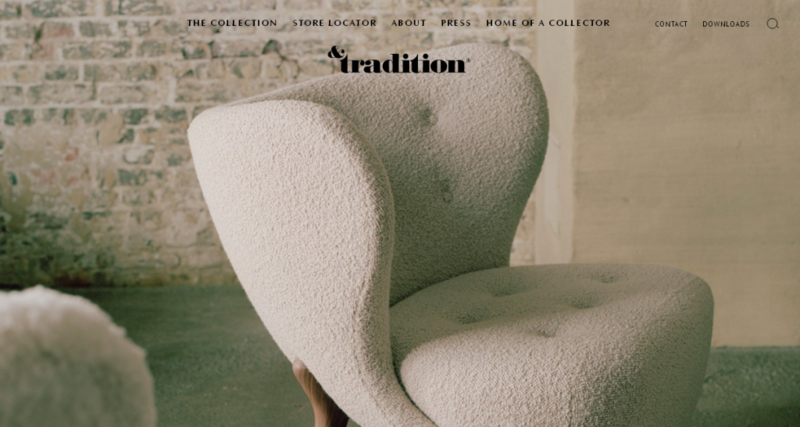 &tradition is a Danish design company established in 2010. Their main principle is the combination of respected traditions with modern innovations. The influence of the Scandinavian design heritage can be clearly traced in the style of their website. It’s just a pure aesthetic pleasure. Why in this list: Today the Scandinavian design, lagom and hygge principles are at the peak of the world’s fashion. Both the company and its website design convey the essence of the true Scandinavian aesthetics. The website is simple but looks very expensive at the same time. Well, the services and products of the popular Danes are also pricey. Unique designer chairs, which are presented in the store without price tags, buyers usually get for 10,000–20,000 dollars. The exact price depends on the material, the complexity of the design, and the popularity of the designer. What sells: interior design items, lighting. Online store design: Clear, simple, and spacious. It’s like lagom applied to web design. The page has minimum details and conversion elements – just nice photos on the perfect white background. 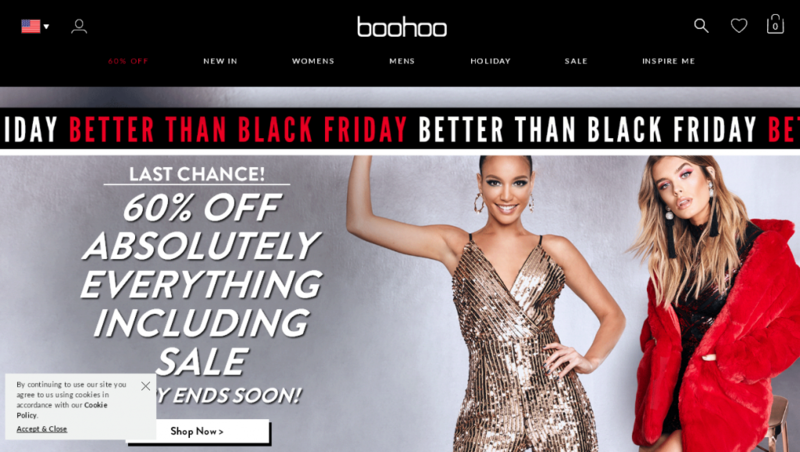 For over 10 years after its launch, Boohoo has become one of the leading online fashion stores affordable to almost any buyer. Serving as an inspiration to many celebrities, Boohoo has gained numerous awards for its valuable findings. And it’s only the beginning. They try to make high fashion available to everyone, yet this is mostly about the look, not the budget of consumers. Why in this list: This website is extremely popular in Europe and the USA. 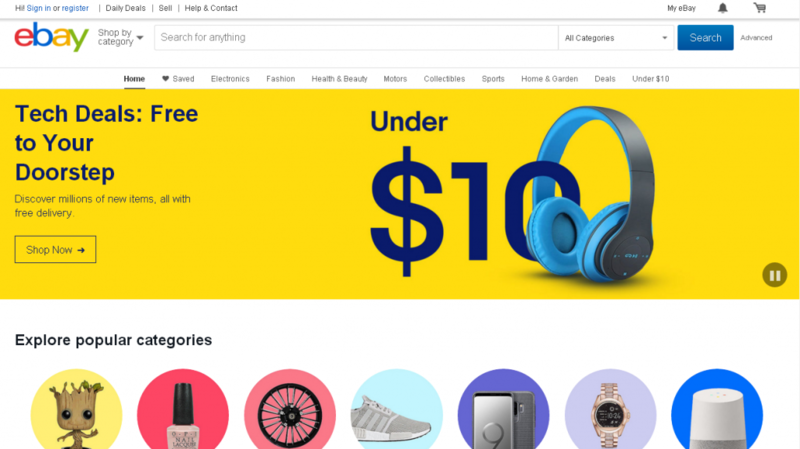 It was included in this list of the most expensive websites because of its catalog volume, availability of numerous brands, stylish design, and complex technical solutions. What sells: Clothing, shoes, accessories. 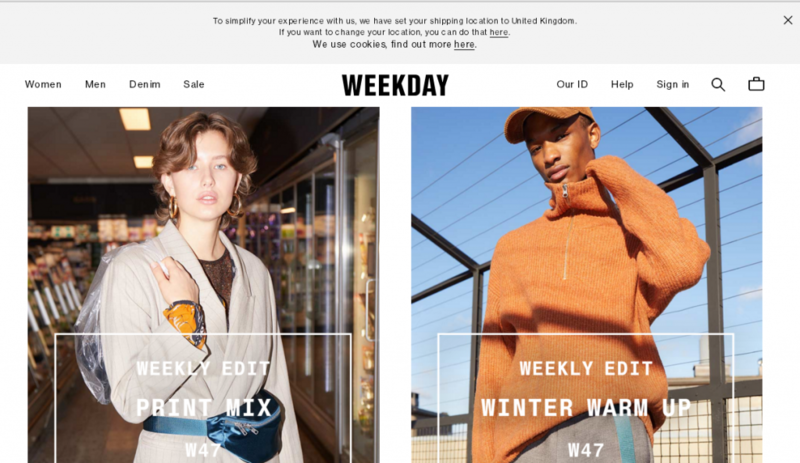 Online store design: The Boohoo’s website is quite stylish, but not due to its uniqueness or trendiness. It has nice color combinations and everything a visitor of an online store needs for a successful purchase. The creators of this web resource focus on special offer blocks and attractive photos of models. The asymmetric lines of the photos create a great dynamic effect. 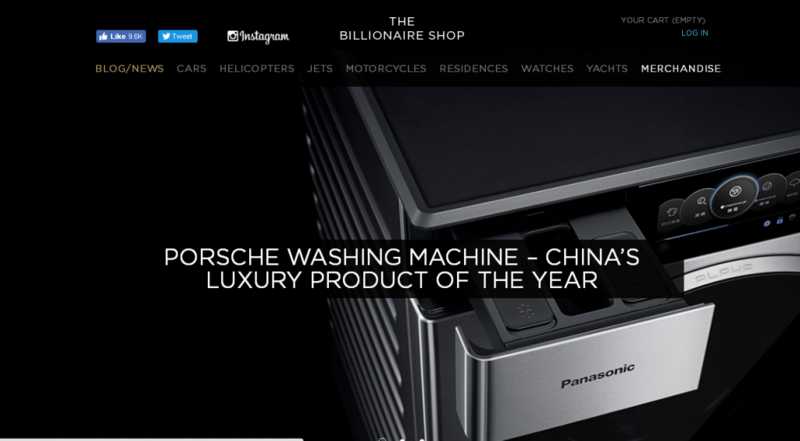 A special online store for billionaires? Why not! Everything that can seem a lucrative investment for a busy person is collected in one place. Here you will get access to the selection of cars, helicopters, motorcycles, yachts, houses, airplanes, watches and smaller but equally valuable products. Why in this list: The primary reason is the price of goods, both of separate items and the catalog in general. For instance, the price of planes varies from 2 to 60 million dollars, luxury residences cost from 2 to 71 million. Additionally, the design of this website is also very good. Is can boast of well-thought-out navigation and a bunch of appealing photos. 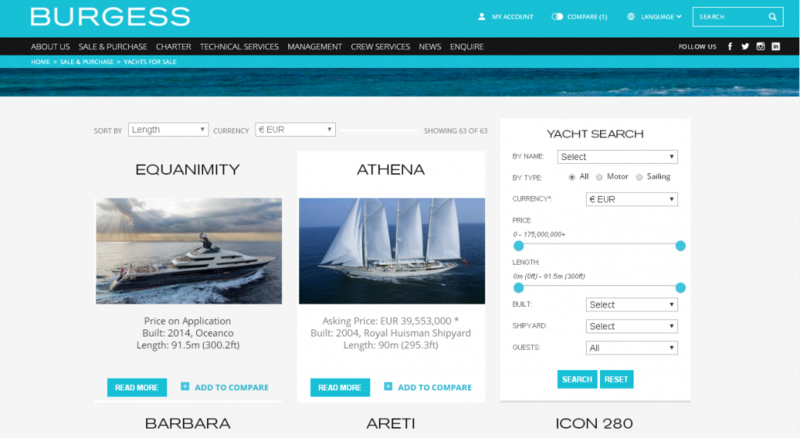 What sells: Planes, villas, residences, yachts, cars, luxury merchandise. Online store design: Modern and card-based. The key colors are black and white. The strict symmetry of the page is highlighted with high-quality and colorful photos. The home page contains minimum elements so users can quickly find their way and select the necessary category of products. This minimum is perfectly balanced, which, by the way, can be quite difficult to achieve. 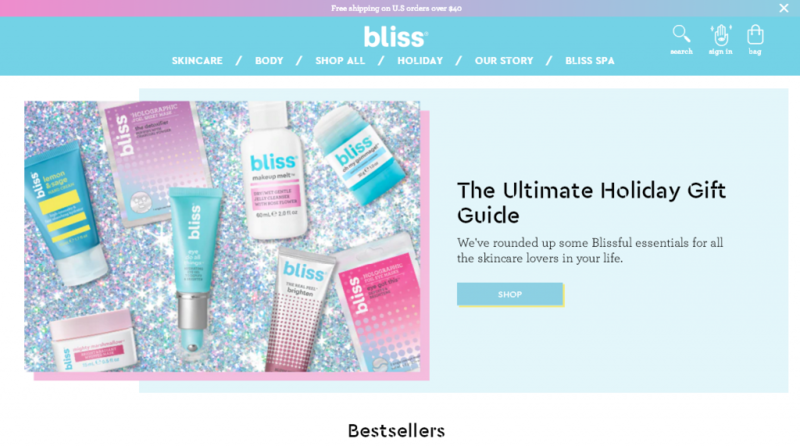 Bliss has cared about the spirit of bliss, youth, and relaxation on its web page. Now girls can look after themselves and relax staying online! Why in this list: They have a very fashionable and stylish (as for a well-known store) design. Not many luxury cosmetics brands can boast of such great brand websites. And, of course, it is worth mentioning the substantial assortment of a huge price range, which is also a noticeable benefit of this online store. Online store design: Great UX. With bright colors, funny graphics, and GIF animation the website encourages its users to discover beauty trends, look after themselves, and, of course, purchase. In this shop, you can quickly and easily create a stylish outfit. Every day the editors of this portal publish interesting looks. In addition to its direct function to sell clothes, the shop also educates users about the current trends, sales, and designer novelties. 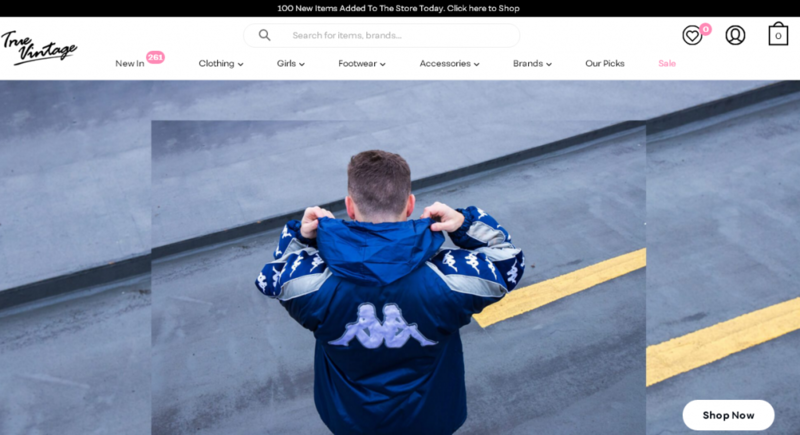 Why in this list: Their catalog is full of expensive branded clothing, has a modern design and unique positioning. Glamorous is both a store and a magazine that acquaints people with the world of high fashion. What sells: Women’s clothing, shoes, and accessories. 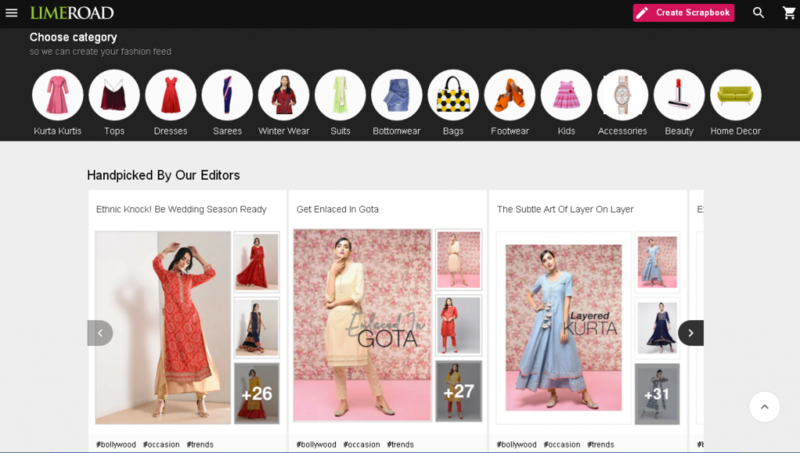 Online store design: It has the style of Dior, Chanel, YSL, Versace. The classic white-black basis is complemented with vivid photos. Asymmetric details, rounded fields and buttons – things that aren’t typical for a usual card-based design – make this resource look much fresher. This website is dedicated to luxury real estate and villas located around the world, including the USA, Europe, Asia, and other places. It’s a separate sub-site of duPont which specializes in luxury goods (expensive cars, yachts, villas, penthouses). Why in this list: The pricing of their products starts from 300,000 dollars and can exceed 70 million. Their design also looks quite expensive and exclusive, since most photos and videos of luxury houses and villas in their large catalog are authentic. What sells: Luxury real estate. Online store design: Card-based and high-quality. The key decoration of the resource is large and bright photos of luxury real estate. They create a pleasant impression which is complemented with properly selected font pairs and simple, well-thought-out navigation. This brand is so famous that extra words are absolutely unnecessary. H&M offers affordable clothes for men, women, teenagers, and kids. The assortment of this Swedish store has everything, from t-shirts and underwear to luxurious evening gowns and comfortable sportswear. On their portal, you can join a loyalty club and be the first to learn about sales and discounts. 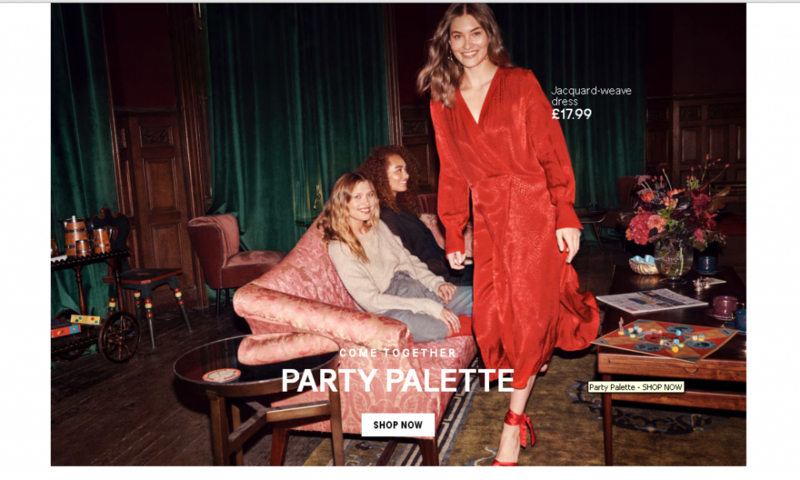 H&M’s website is simple, thought-out, and functional. It effectively supports the brand image and promotes sales. Why in this list: It’s a mass market but extremely popular around the world. The store offers a huge selection of affordable clothes. However, in this list, H&M is, first of all, included for the fashionable design and development cost of its website. What sells: Women’s, men’s and kids’ clothing, shoes, accessories. Online store design: Card-based, sales-promoting, and fashionable. The brand colors are red, black, and white. The design is largely based on vivid large photos. Well, they are essential in the sales of fashion clothes. You will rarely come across a clothing store with a modern asymmetric or abstract design. duPont specializes in luxury cars, yachts, and real estate. Aston Martin, Ferrari, Jaguar, McLaren, Rolls-Royce, Mercedes, Porsche, Lamborghini, Cadillac – this isn’t an exhaustive list of luxury car brands presented in the catalog of one of the duPont’s store. Why in this list: The average price of cars varies between 300,000–500,000 dollars. The pricing of some of them reaches 1-2 million dollars. The catalog is full of rare and valuable cars. 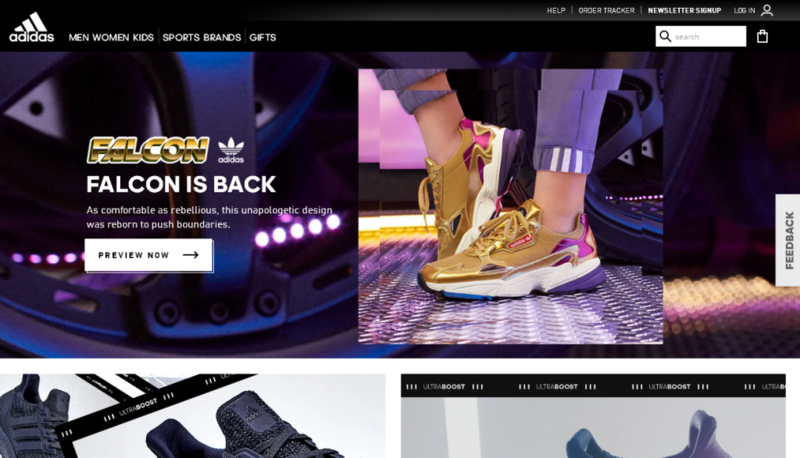 Online store design: Outdated and unmemorable. It has lots of banners, the low-quality design of brands and products on the main page, and way too small logos. Weekday, a modern denim brand, appeals to stylish minds with a clear position blurring the boundaries between femininity and masculinity. In this online store, you can make purchases segmenting the search by gender, product type, or collection. Why in this list: Substantial catalog volume and high-quality design of every tiny detail. The product cards look really stylish and the navigation is well-thought-out. The development cost and visual solutions turn this website into one of the most expensive online stores. What sells: women’s and men’s clothing, affordable accessories, high-quality unisex denim. Online store design: Card-based. They focus on unique photos of models, symmetry, and rectangular shapes. These elements are the winning, distinctive feature of the design. Affluent people value things with history and have an eye for everything unique. True Vintage sells the iconic items of different years from such brands as Adidas, Nike, Ralph Lauren, and Tommy Hilfiger. Along with shirts, jackets, and sportswear, the website also offers vintage accessories from many famous brands. Why in this list: Uniqueness of products that will only go up in price in the future. True Vintage sells the things that become a great investment. What sells: Clothing and accessories from limited and rare collections by Adidas, Nike, Ralph Lauren, Tommy Hilfiger. 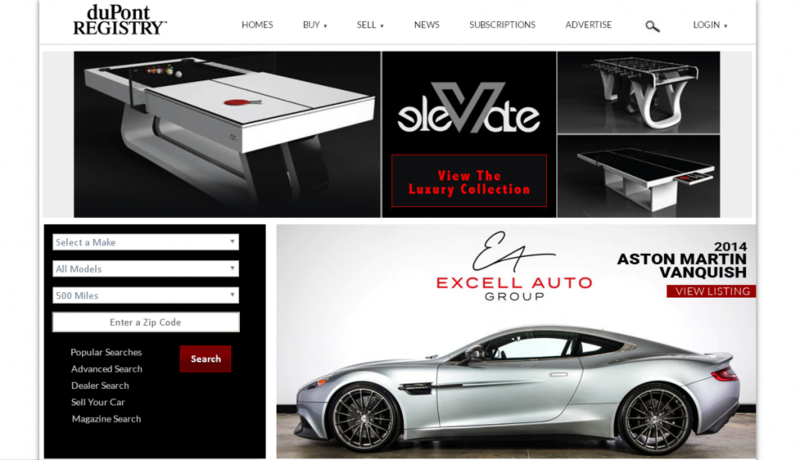 Online store design: It sticks to the design rule of all websites related to the sale of luxury clothing. Again, here you’ll see asymmetric cards, large bright photos, and rounded buttons of target action. This page has a large selection of clothing and accessories and also offers interior design items and decor. Keeping in mind the significant number of categories, website creators really cared about the navigation and made it easy-to-use and easy-to-remember. Why in this list: Large assortment, vivid and stylish design. Lime Road has many unique icons and cards which equals to a considerable investment. Everything is done to simplify and visualize the search of the necessary product. What sells: Clothing, household items. Online store design: The first thing you notice is an online catalog with a very unusual structure. Here users create their path individually. The selection is formed by the Scrapbook function which they can use to create stories based on the products in the store. In addition, website owners organize contests for scrapbookers and give bonuses to those who decide to register. It’s a really smart marketing strategy, isn’t it? This branch and separate resource of the web giant Amazon is dedicated to branded clothing, accessories, and household items. Located in the USA, the website has such a smooth and fast international delivery that it can complete any buy/sell procedure within 72 hours. Why in this list: We just couldn’t skip the largest and most expensive world’s online store. 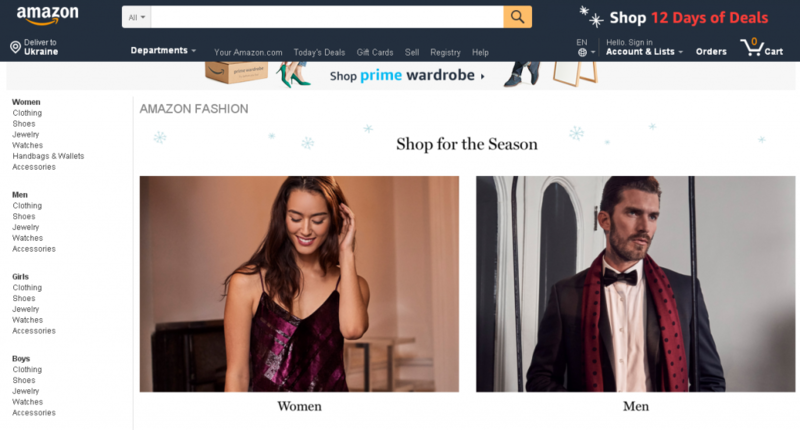 The fashion section of Amazon was chosen for its extensive catalog and popularity of products. What sells: Women’s, men’s, and kids’ clothing, interior design items. Online store design: We may endlessly criticize the look of Amazon, be the truth is obvious: This card-based, clear, sales-promoting, and based on photo visualization design is still very convenient and pleasant. Victoria’s Secret renowned for its angels and million-worth contracts with models is a leading manufacturer of luxury lingerie. The brand has products to everyone’s taste, from lace kimonos to cozy Christmas pajamas, lip glosses, and perfumes. Why in this list: Its design is expensive and unique. Any designer would recognize floral compositions with glitter by Victoria’s Secret. In addition, they have a large selection of gorgeous top-class products. What sells: Women’s cosmetics, lingerie, and accessories. Online store design: Despite being card-based, the design is really stylish. Out-of-the-box solutions make the page more lively and thanks to the asymmetric lines, sparkling frames, and scattered rhinestones, the composition looks much more dynamic than even the web resources of the Parisian high fashion houses. Clothes and, again, clothes. This website forms out lifestyle with the clothing and accessories by various fashion brands. Different thematic selections and editorials will help you to find your special style. Why in this list: Well-thought-out development, expensive design, and extensive product catalog. What sells: Women’s and men’s clothes and accessories. 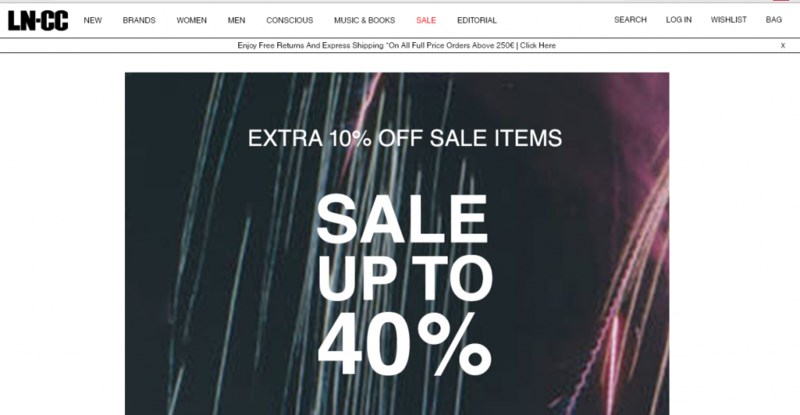 Online store design: The top slider continuously changes to showcase the latest offers. On the main page, you’ll also see a bunch of discounted popular products. Lifestyle pays a lot of attention to the sales section. The is also the Lifestyle Blog category which is updated on a weekly basis. LN-CC or Late Night Chameleon Café may be described as the fusion of a retail store and an online/offline art installation. This store has a piece of everything! In addition to the clothes of the lesser-known Japanese brands, numerous rare books, and vinyl records, there are also items by renowned brands. Why in this list: The luxury style and uniqueness of this resource, which is both an exhibition and a shop at the same time. Additionally, it has a large catalog of unique and absolutely different goods. What sells: Art objects, clothing, accessories, books. Online store design: Photos, asymmetric cards, and animations can make a standard fashion solution really magnetic. You will definitely remember this resource, and not only because of its staged photos. Adidas is one of the largest sports brands in the world. They sell sports clothing for all categories, including men, women, and kids. Regardless of the type of sports a customer does – whether it is football, jogging, tennis, or golf – this shop will find a customized solution for everyone. There is even the special Complete the look function which you can use to quickly create a ready outfit from separate items. Why in this list: Global popularity of the brand, price range, extensive catalog, and bright website design. What sells: Sports clothing, shoes, and accessories for women, men, and kids. Online store design: Card-based and asymmetric. The photos that inspire to buy and accomplish great achievements are also present. It’s worth noting the convenient navigation and thought-out segmentation that simplifies the website browsing (it has the men/women/kids categories). Analyzing the online stores of expensive and renowned brands we have noticed the tendency of choosing technically simple but visually vivid website designs. Online fashion giants have a lot in common with the brand web resources of such trendsetters as Chanel, Dior, Gucci, YSL, and Versace. Their design is based on the white-black color scheme and large staged photos. The website of Victoria’s Secret may be considered a nice exception to this rule. The resources that sell planes, yachts, luxury cars, and real estate often disappoint with their outdated look. There are also websites of less famous companies which aren’t related to the sale of clothes or luxury goods. These are, actually, the ones that can pleasantly surprise users with the freshness and vividness of their design. It seems like, in this case, the reputation of a brand matters. Boutiques that sell original things are backed with their suppliers’ reputation and don’t have to fascinate their visitors. The rest, on the contrary, needs a bright web style to tell the world about themselves.